American Airlines is the world’s largest airline by fleet size. With over 950 aircraft bearing the American livery, many passengers in the U.S. and around the world will be familiar with their aircraft. Let’s step back in time and see how American Airlines came to be. American’s story really started to unfold by 1936. After a few years of flying, businessman E.L Cord branded the conglomerate with the name “American Airlines”. After putting together a team, American Airlines started working to create a new aircraft. The product was the DC-3 which became American’s flagship. The first flights operated between New York and Chicago. 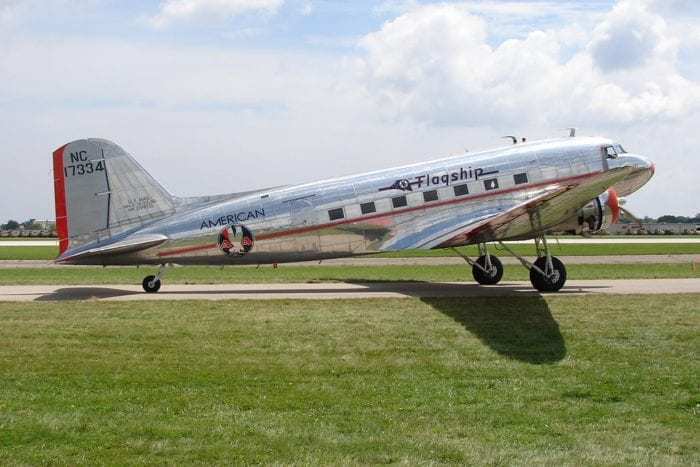 The DC-3 allowed American Airlines to transport passengers and their baggage. Previously, American Airlines relied on mail transport to make a profit. The DC-3 changed this, and American Airlines was on its way to becoming a major airline. As American Airlines expanded their DC-3 service, they also started looking at improving the passenger experience on the ground. The first Admirals Club came about at this time. American also worked to build up New York’s LaGuardia Airport, where another Admirals Club was also developed. Back then, Admirals Clubs were almost as exclusive as it is today, with invitation-only policies for entry. Later, American did begin offering paid access to their Admirals Club too. As World War II raged on, American Airlines had to slow down some of their expansion. However, in the years following the war, American returned to the spotlight and was, for some time, the largest American airline. 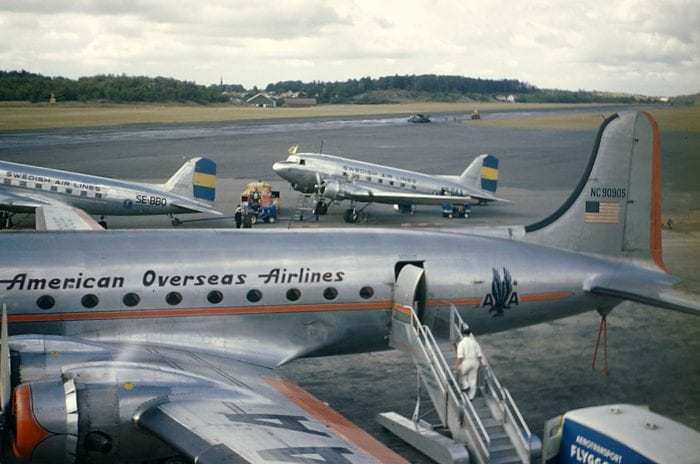 In 1945, American Airlines established “American Overseas Airlines” and began to offer transatlantic flights. American Airlines had their eyes set on transcontinental operations. For this, they needed an aircraft that could fly from a city like New York to a city like Los Angeles in under eight hours. At that time, domestic flights could only be eight hours or under due to crew time restrictions. American turned to their preferred aircraft manufacturer, Douglas, and the DC-7 was created. 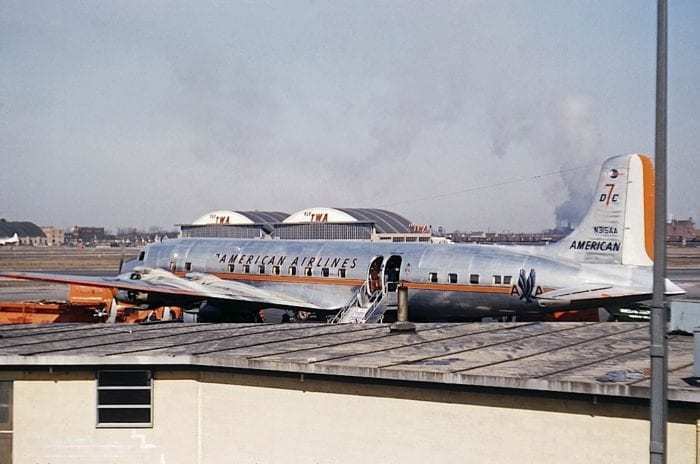 The DC-7 was a major success, with American Airlines operating a significant number of this aircraft. 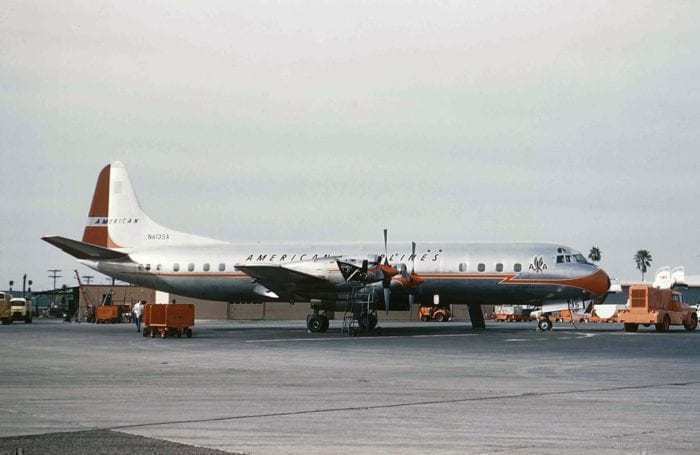 The DC-7 was primarily used for nonstop service across the U.S. In the late 1950s, American Airlines opened the “Stewardess College” in Dallas, now their largest hub. The Stewardess College was for flight attendant training. It was the first official flight attendant training facility in the world. In 1959, American Airlines began flying the Lockheed Electra. However, soon after starting service with the aircraft, AA flight 320 crashed on approach to New York LaGuardia. 65 out of 73 passengers on board died. 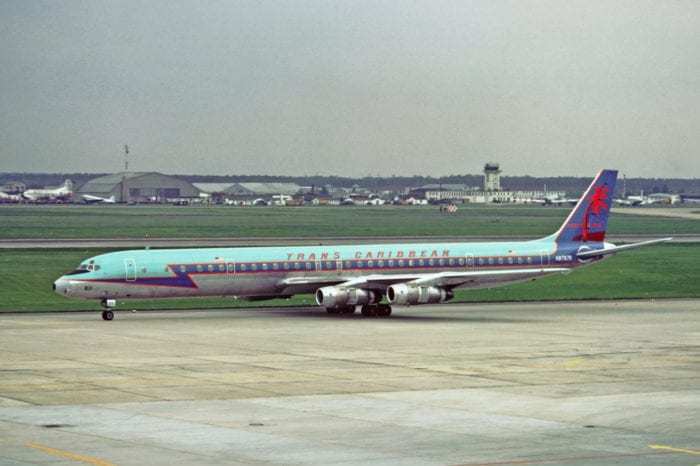 As new advancements in technology made jet aircraft a reality, American Airlines started flying the Boeing 707. Jet aircraft were much safer compared to turboprop and propeller aircraft. They also significantly reduced flying time and were a favorite for major airlines. Also in the 1960s, American Airlines introduced the first electronic booking system for passenger reservations. American Airlines made history in 1964 when they hired Dave Harris, the first African-American pilot to work for a commercial airline. 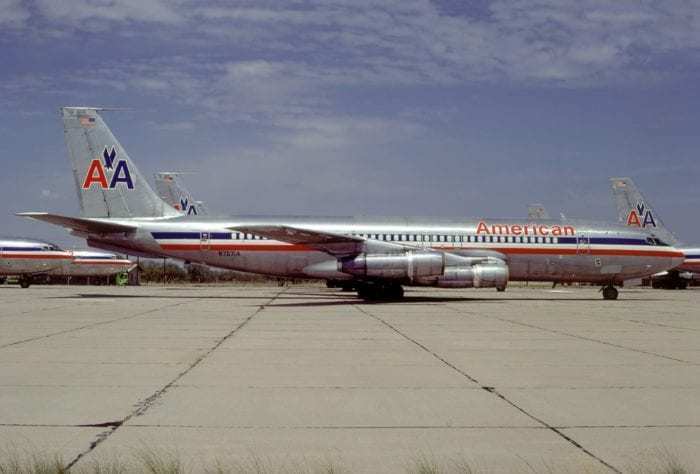 At the start of the decade, American Airlines merged with Trans Caribbean Airways and thus started offering flights from the U.S. to the Caribbean. Continuing American’s trend of ‘innovative hiring’, Bonnie Tiburzi became the first female pilot for a major American Airline when she started flying for American. In 1978, the Airline Deregulation Act was formed. The airline industry was now deregulated in areas such as route creation, new airline establishment and fares. This, essentially, turned the American aviation market into a free market. In 1981, American Airlines instituted the first airline loyalty program. The name AAdvantage has stuck with the program since its inception. Following airline deregulation, American Airlines opened a hub at Dallas/Fort Worth International Airport. This was closely followed with new hubs in Chicago, San Jose, Raleigh-Durham, and Nashville. During this time, American Airlines focused on building a hub-and-spoke model, and also began transatlantic services out of Dallas. 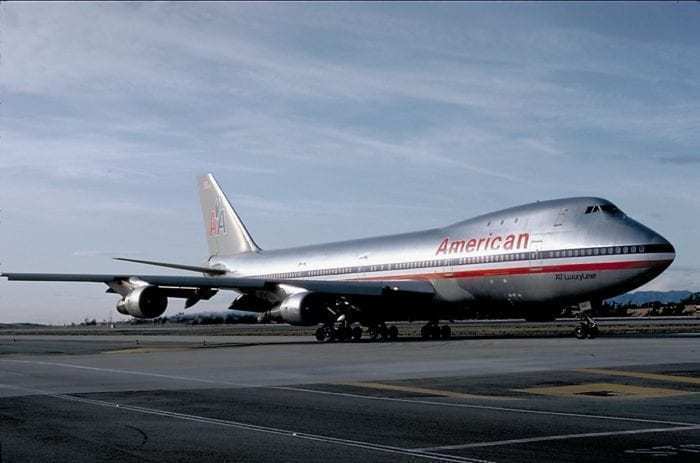 American Airlines flew a wide variety of aircraft in the 1980s, including various 747 models and the 767-200. American Airlines continued to grow in the 1990s. And, on March 27th 1991, American Airlines crossed the one billionth customer mark. American Airlines gained a hub in Miami after taking over Eastern Air Lines’ Latin American routes. At the same time, they discontinued their hubs at San Jose, Raleigh-Durham, and Nashville. In 1997, American Airlines banned smoking from all of their flights. 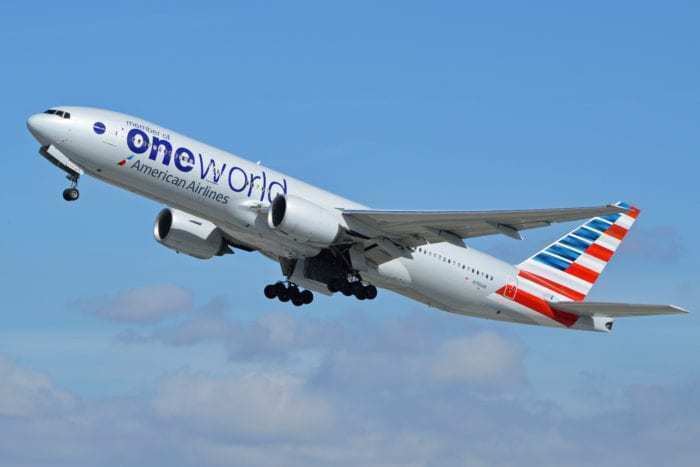 Then, in 1999, American Airlines partnered with British Airways, Cathay Pacific, Canadian Airlines, and Qantas to found the Oneworld alliance. American Airlines flights 11 and 77 were involved in the September 11th attacks that forever changed aviation. In the years following the event, American Airlines continuously lost money until finally earning a $58 million profit in 2005. During this time, American Airlines inaugurated many services across the globe to destinations such as China and India. Then, in 2005, US Airways merged with America West Airlines. Doug Parker, CEO of America West, was retained as part of US Airways management after the merger. In 2008, an economic downturn hit American Airlines hard. Due to lower profits, AA shut down their Kansas City maintenance station and downsized operations at their Puerto Rico hub. During this time, American Airlines also began to refresh their fleet with new Boeing 737s and Airbus A320 family aircraft. This came after disputes with the FAA regarding maintenance on their aging MD-80 fleet. American Airlines officially inaugurated its transatlantic joint venture with British Airways and Iberia Airlines in 2010. In addition, American Airlines strengthened their joint venture with Japan Airlines and inaugurated multiple services to Tokyo-Haneda. Expanding from Dallas, American Airlines began flights to Seoul, Shanghai, and Hong Kong. This further solidified American’s hub status at Dallas where they remain the dominant carrier. In 2011, however, AMR Corporation, the parent company of American Airlines, suffered some financial troubles. They filed for bankruptcy and American Airlines began a cost-cutting campaign to return to profitability. In 2013, it was announced that American Airlines and US Airways would merge, creating the world’s largest airline by fleet size. As a result, the American Airlines brand would be retained. 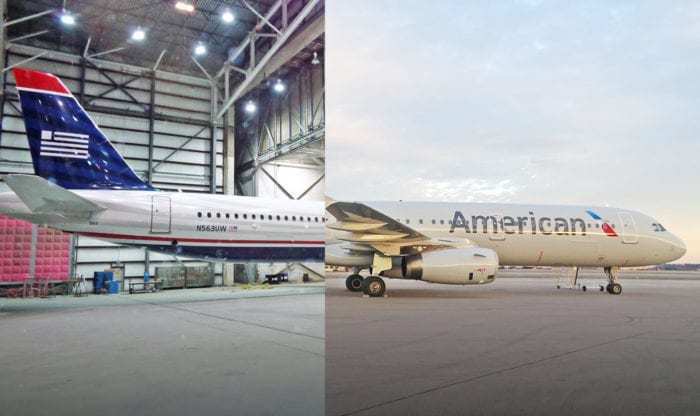 American also revealed a new livery and logo. After some negotiations with the Department of Justice and the Department of Transportation, US Airways and American Airlines were officially granted a single operating certificate in 2015. The new CEO of the merged airline was former America West CEO, Doug Parker. U.S. Airways flew its last flight, number 1939, on October 16, 2015. 1939 was symbolic, as that was the year that US Airways was founded. As 2020 approaches, American Airlines remains the largest operating airline in the world. 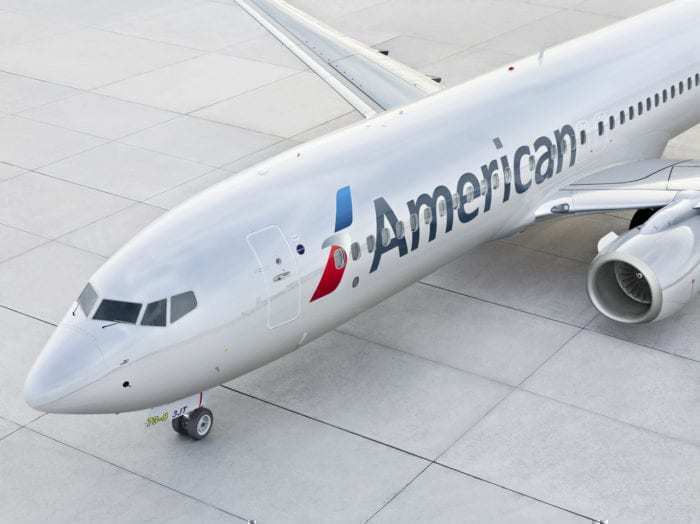 AA is one of the ‘big three’ American carriers, maintaining dominance in several key markets including Dallas, Charlotte, Philadelphia, and Miami. As of now, American Airlines is a strong position to keep flying. 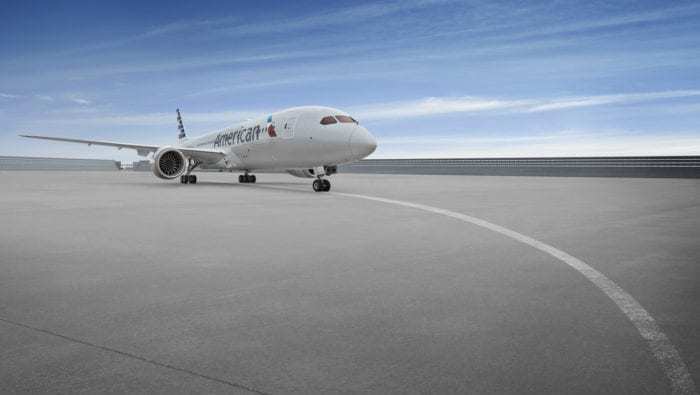 With brand new 787 and 777 aircraft, American Airlines is looking to expand their long-haul operations and continues to phase out older aircraft with newer, more efficient aircraft. American will have to work on improving their dismal on-time performance. In the short-run, American Airlines will have to focus on maintaining their large and complex fleet. Have you flown American Airlines? Do you like American Airlines? Let us know in the comments below! 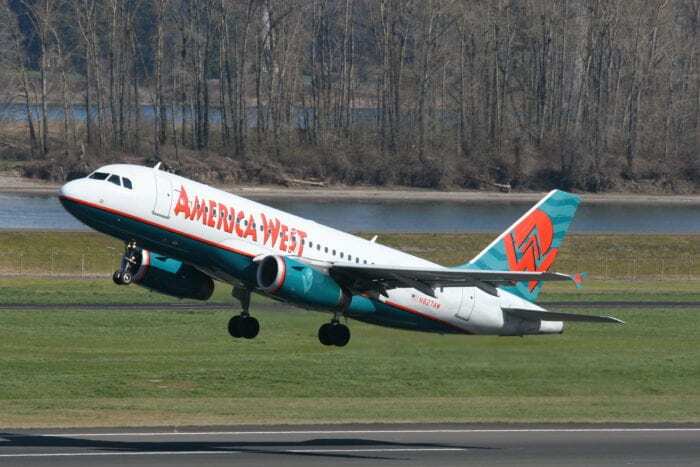 continuing my on my previous comment, it’s really America West that merged with American airlines as the management group from America West took over at US Airways and then took over at American even though the America West name died when AWA merged with US Airways. Brian is right. It truly is amazing. If in the early 2000s you told someone that America West would own both US Airways and American Airlines, they would think that you didn’t take your meds. Also, can we stop using the term merger, when it’s usually a buyout? In 2005 America West merged with US Airways, not American. And American did not get Airbus’ until after 2010. How many more facts do you have wrong. It was a proud history until Parker came from US Air. His first order of business was disrespecting all retirees and putting them at the bottom of the standby list. I don’t know why my first comment didn’t post, but it didn’t, that was something I mentioned, America West merged/bought out Us air in 2005, not American. I don’t know why my first comment didn’t post, but that was something I mentioned about in my first comment, America West merged/bought out Us Airways in 2005, not American.